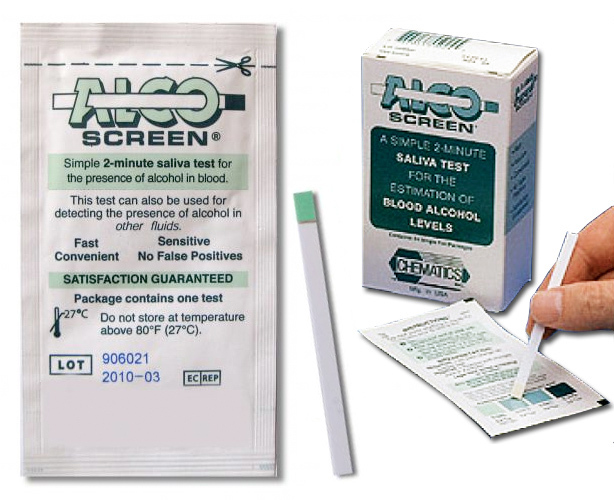 The Chematics ALCO-ScreenTM saliva alcohol test is intended for use as a rapid, highly sensitive method to detect the presence of alcohol in saliva and to provide a semi-quantitative approximation of blood alcohol concentration. For applications where a quantitative determination of blood alcohol concentration is required, a positive ALCO-SCREENTM result must be verified using an acceptable quantitative alcohol procedure. 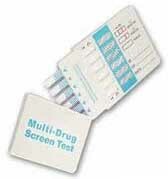 ALCO-SCREENTM requires no special training provided that instructions are followed carefully. However, quantitative followup testing should be preformed by a qualified professional. 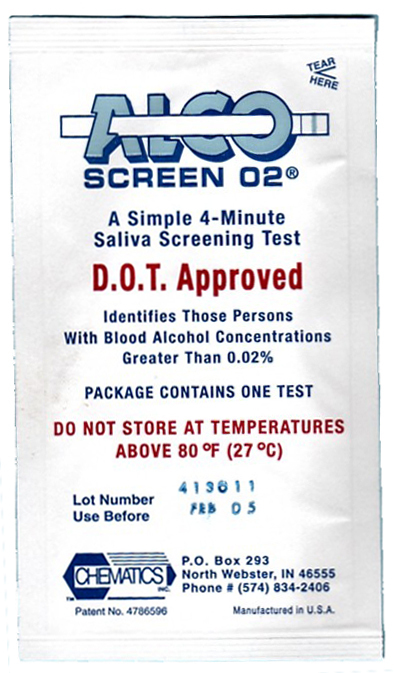 ALCO-SCREENTM may also be use to non-quantitatively detect the presence of alcohol in many other fluids, such as soft drinks, blood serum, etc. For more detailed information, see our FAQ section. 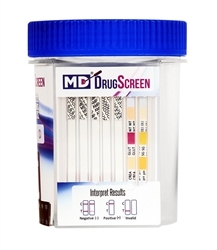 NOTE: this test product does not include the sputum cup required by the FDA.